Bihar Public Service Commission has released a notice regarding BPSC 64th Mains Written Examination. 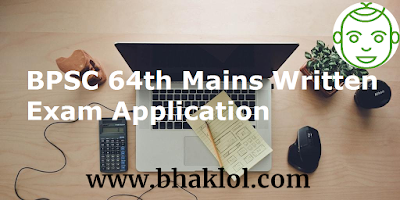 BPSC 64th Mains Written Examination Application will start from 12th March 2019. Last Date to apply for BPSC 64th Mains Written Examination is 2nd april 2019.